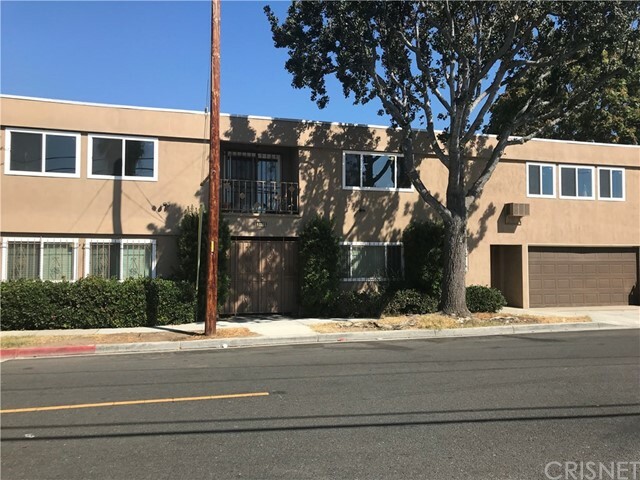 All WESTSIDE homes currently listed for sale in Long Beach as of 04/21/2019 are shown below. You can change the search criteria at any time by pressing the 'Change Search' button below. "Needing space? How about 5 bedrooms? 3 bathrooms! This home has it all!! Room for your extended family or, rent out a portion and make some passive income! This one is the one for you! 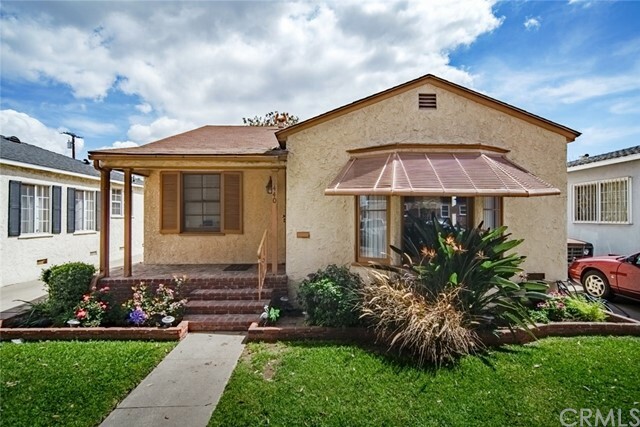 The front of the home was built in the 30's with charm, lathe and plaster, dorm ceilings, original and beautiful wood floors, charming exterior and all in a great neighborhood close to shops, restaurants and minutes from freeway access! Great love and care and it shows. Large eat-in kitchen that has been upgraded, formal dining room and living room, Bedrooms down and bedrooms up. Entrance to the home at side rear of property could lead into an area that can be separated off! Plenty of room for everyone here! Newer windows, remodeled baths, large master with en-suite bath with Jacuzzi tub, central air and heat and much more! Lovely home waiting for you and your family! Close to schools, parks, shopping and dining!" 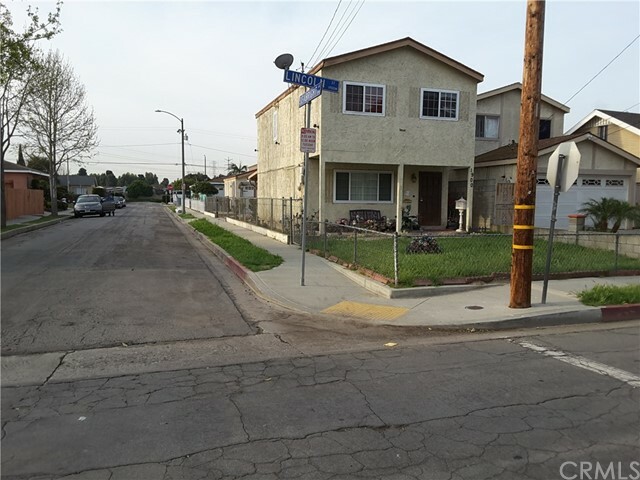 "Great 4 bedroom home in Long Beach. RV access. Close to schools, shopping restuarants and more." 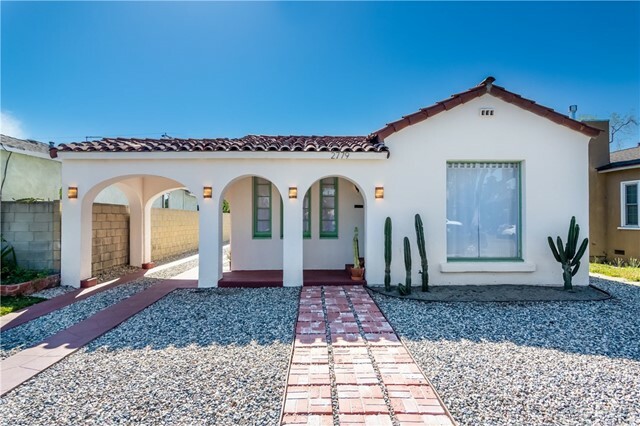 "Welcome to this beautiful Spanish Colonial home situated on a Palm Tree lined street in the upper area of West Long Beach. 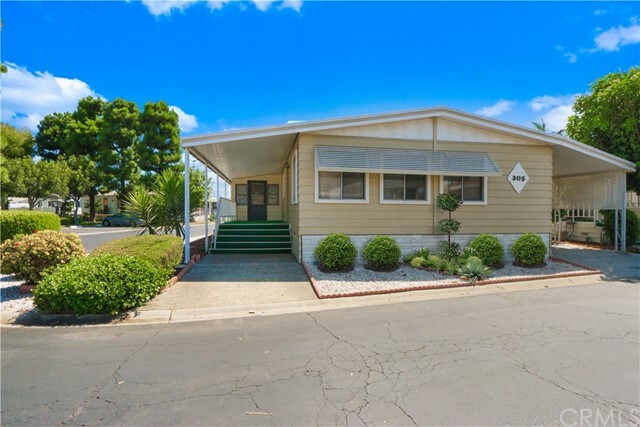 This charming remodeled 2 bedroom, 1 bath home boasts a bonus room that can be used as an office. Light filled open floor plan featuring archway openings, coved ceilings, textured walls and details galore. Stunning curb appeal with an inviting entryway which leads into a spacious and charming living room with beamed ceilings. 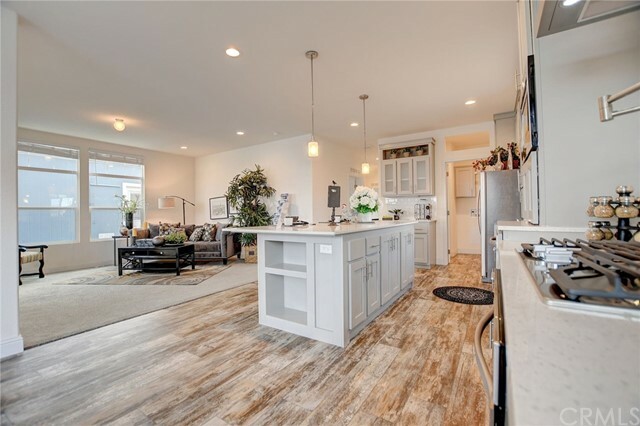 Great dining room and a custom gourmet kitchen with beautiful cabinets, quartz countertops/backsplash, recessed lighting and stainless-steel appliances. Long driveway leads to a detached 2 car garage which has additional laundry hookups. Drought resistance landscaping and an expansive backyard with many opportunites for gardening and entertaining. Conveniently located near the 710 and 405 freeways. You will love this home." "VERY NICE AREA OF WESTSIDE LONG BEACH. TWO STORY HOUSE WITH 3 BEDROOMS AND 3 BATHROOMS PER ASSESORS DATA. CERRAMIC TILES THROUGHOUT THE LIVING ROOM, DINING AND KITCHEN. ALL BEDROOMS UPSTAIR CARPETED. CONVENIENT LAUNDRY DOWNSTAIR BY THE KITCHEN. FRUIT TREES IN BACKYARD. CONVENIENT TO SHOPPING, RESTAURANT, BUS, SCHOOL AND FREEWAYS. QUITE NEIGHBORHOOD." "STUNNING NEW HOME For Sale in the Planned Urban Development Community of Windward Village, where you own the land. 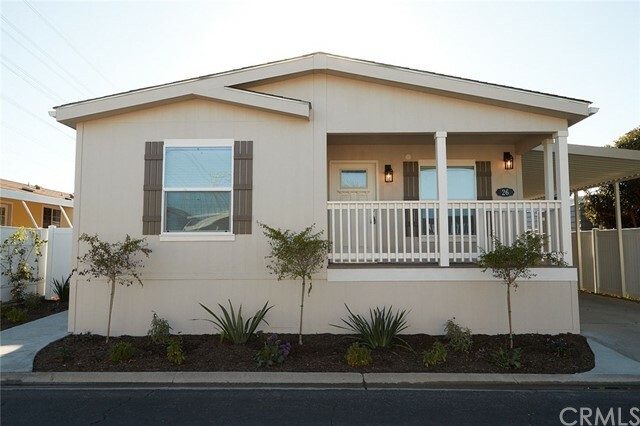 Come make this MAGNIFICENT Manufactured Home yours today. You will Enjoy the Light, Bright & Airy feeling of this Wonderful Home. There is an OPEN FLOOR PLAN, Iron Chef Kitchen, New Appliances, and Fresh Paint throughout. The SPACIOUS OPEN Kitchen has GIGANTIC ISLAND with Pendent Lighting and tons of Beautiful Cabinets for Storage. There are Gleaming Laminate Floors and Plush new wall to wall carpet. The Master Bed Room features an AMAZING Walk In Closet and the Dazzling En Suite Bathroom. And the Second and Third Bedrooms also have Fresh New Wall to Wall carpet and Designer Paint Plus Ceiling Fans. There is a new fence around the backyard for added privacy. Again REMEMBER YOU OWN THE LAND. The Community is Pet & Family Friendly, amenities include Gated Entry with 24/7 Guards, Swimming Pool, Playground, Sports Court, Exercise Room and Much More. Call today." "Ultimate open-concept living and entertaining in Long Beach. Endless modern taste defines this two bedroom/two bath single family home. Completely remodeled with high quality materials/fixtures and clean lines (no exposed wires or cords). Features include: New Appliances, Recessed Lighting, In-Floor Accent Lighting, Above Cabinet Lighting, Quartz Countertops, Full Wet Bar with beverage center (refrigerator) and wine cooler, Wood Plantation Shutters, All New Flooring/Tile & New A/C Unit. 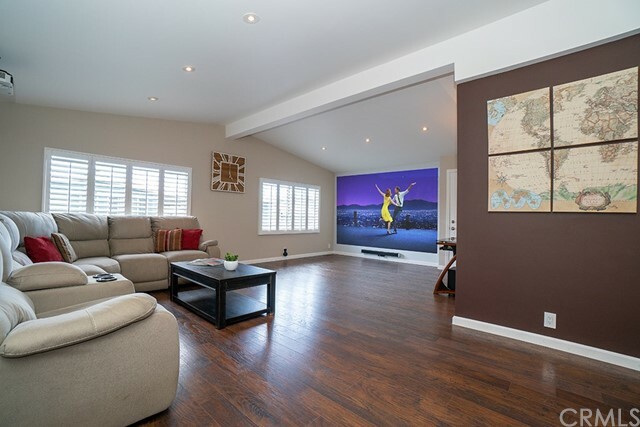 Enjoy a Home-Theatre Entertainment System which includes HD Projector, 8 feet x 10 feet Viewing Screen/Wall, Wireless Sound Bar with Sub-Woofer (optional). Smart Home technology provides added convenience and security. At home or anywhere in the world have the ability to control Lighting/Dimmers, Smart Door Lock, Thermostat, Heating & Air Conditioning by voice or Smartphone App. Voice Assistant in every room features music everywhere and Voice-Activated, Tiered Lighting to Set Moods and Routines. Leaving nothing is spare: Open Kitchen, Dining Room, Lounge, Bar, Living Room, Veranda, plus all Bedrooms feature an ensuite bathroom. Come to see your new home at an affordable price in a well-maintained gated community with low HOA dues and 24-hour guarded security." "NEW HOME BUILT IN 2018. Be the first to live in the gorgeous home. It features 3 bedrooms with 2 bathrooms. Within the master en suite is a bonus room, great for an office, changing room, nursery or whatever you choose. The master bath has a walk in shower with seat and dual sinks. Wood laminate and carpet throughout. All new appliances are included with the sale, which include dishwasher, stove, refrigerator and microwave. This homes open floor plan allows enough space for a formal living area and great room. The exterior features a low maintenance yard with ample space for outdoor furniture and entertaining. It is located in the Windward Village community, a planned unit development (PUD). Low HOA fee includes community room; 24 hour guarded entry; jacuzzi, pool, recreation room, library, tennis & basketball courts with a play area and swings. This home is a must see. Do not delay." "Welcome home to this beautiful house, hosting 3 bedrooms and 1 and 1/2 bathrooms. The spacious living room and nice kitchen with granite countertops, laminate wood flooring, huge backyard, detached two car garage. Close to the freeways." 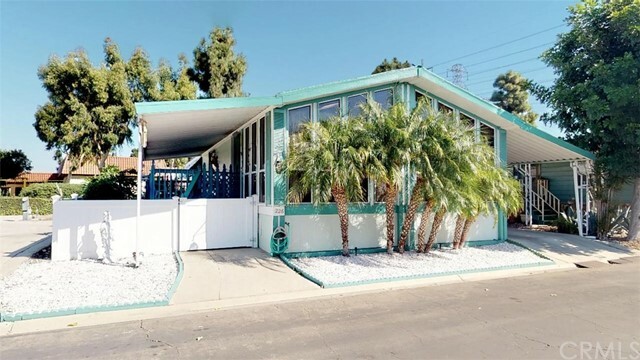 "Charming bungalow in a highly desired neighborhood. This home offers 1300 soft.+ an additional bonus room and bathroom. Perfect size yard and patio for entertaining with easy RV access from the backyard. Conveniently located near the 710 and 405 Freeways. It is only miles away from lively downtown Long Beach and close to Cal State Long Beach. Must see to appreciate!" 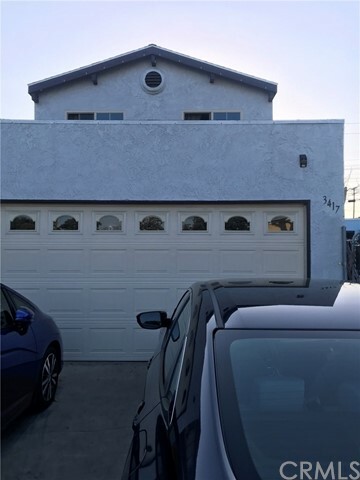 "The Westside of Long Beach working neighborhood, Two Story home ,Family room entry room to house Laundry down stairs with washer and dryer , next to kitchen , all bedrooms upstairs , upgraded detached garage . very close to the 405 and 710 Freeways. 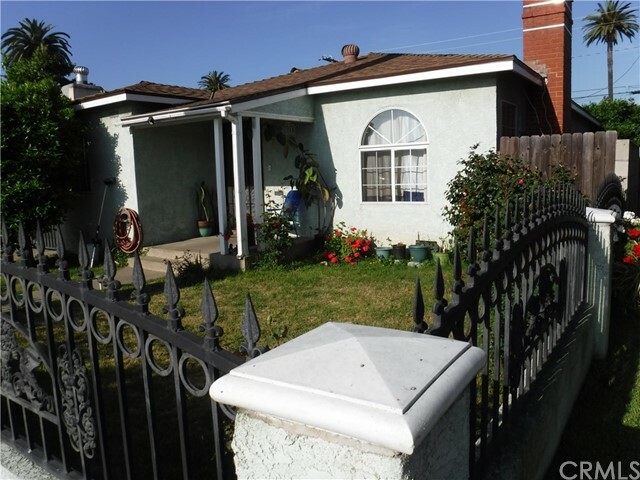 Not far from Silverado Park"
"Come check out this lovely Upper Westside Long Beach property! The floor plan features 5 good sized bedrooms, 2 baths, living room, and dinning area. 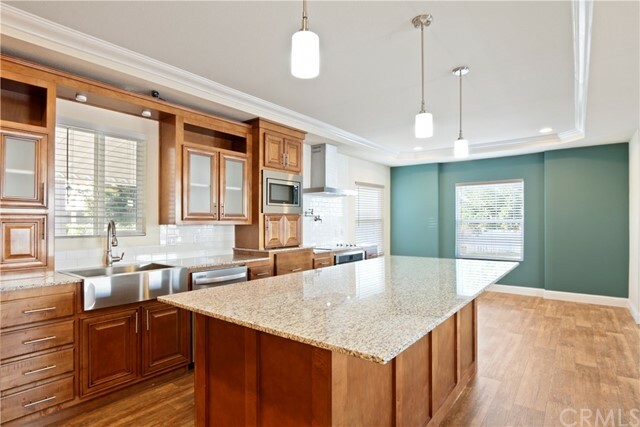 Tiled spacious kitchen has plenty of cabinet space as well as cooking and prep surface. Convenient side by side laundry area. The spacious backyard with a patio area is perfect for entertaining. 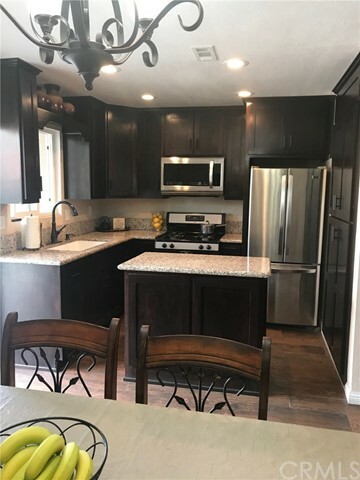 Great location close to the 710 freeway, Silverado Park, Schools (Stephen's Middle school, John Muir Elementary, Birney Elementary, St. Lucy Catholic School) and much more!" "Welcome to one of the Premiere Homes in Windward Village a 433A Community of Single Family Homes. This georgous home, model CM4603D, is 1800 sf of the most popular upgrades: front porch, 9' ceilings, 80windows, slow close cabinets and drawers throughout, quartz counter tops, crown molding, large Living room, huge master bedroom suite, enormous master bath with separate enclosed WC, walk in closet, linen closet, separate utility room with electric and gas hookups, Stainless Steel range, Refridgerator, Dishwasher and Microwave. This is only a partial detail of upgrades. There is enough parking for three cars and comes with s shed for additional storage. It is ready to move into. Windward Village is a 433A community where the Home and the Land are sold together as a Sinfgle Family Residence. Over 160 Homes have been converted so far. There are still many empty lots on which to place new homes. The community has 24 hour security at the front gate and entrance to non residemnts is with home owner permission only. The community offers a pool, hot tub, exercise room, meeting spaces, commercial grade kitchen for large parties and an auditorium for you big parties, quincinieras, baby and wedding showers, birthday parties, or any of your large parties. Theere is a sports court, outdoor barbeque area and if a favorite gathering place for all of the kids in the park. The community is diverse and welcoming. It is a great place to come home to at the end of the day. You're Home." "Nice house for the price. Three big bedrooms with hardwood floors. Property is fenced and has a good sized front yard and a big back yard. Most of the back yard has paver's and some brick and cement. Very easy to take care of. Nice Fruit trees and still has places to plant some flowers. Has a formal dining room that is open to the kitchen. Big living room with hardwood floors and fireplace. Lots of windows that make the house bright and airy. Big two car garage off alley. Laundry in garage. there is additional work space attached to the garage that is covered. Great for storage or working on cars." "OUTSTANDING TREASURE waiting for your polish, CORNER LOT, INTERIOR COMMUNITY LOCATION, Check out this Desirable Home in Planned Urban Development (PUD) Community of Windward Village, WHERE YOU OWN THE LAND. Location, location, location! This Fantastic Valued Home is located on a corner in the heart of the interior of the community across from the community center and guest parking. This home is SPACIOUS, ROOMY & WELL KEPT. You will be instantly WELCOMED by the spacious entry and large living room with built ins open kitchen is adjacent to another room which may be utilized as either dining area or family room. There are TWO BEDROOMS & TWO BATHROOMS along with a bonus room from the enclosed patio. Your Family and Friends will All Enjoy the Comfortable & Open Floor Plan. The Master Bed Room includes a walk in closet and attached En Suite Bathroom. This CORNER lot is a RARE treasure and has tons of potential for OUTDOOR living and yard space and includes TWO Handy Storage Sheds, and a cover driveway with room for two cars. This Home Features a Charming Open Outdoor Porch Roomy Enough for Everyone to Relax and Enjoy the Cool Ocean Breezes. The Community of Windward Village is Pet & Family Friendly, and amenities include Gated Entry with 24/7 Guards, Swimming Pool, Playground, Sports Court, Exercise Room and Much More, Hurry and Call to See This Amazing Home Today!" 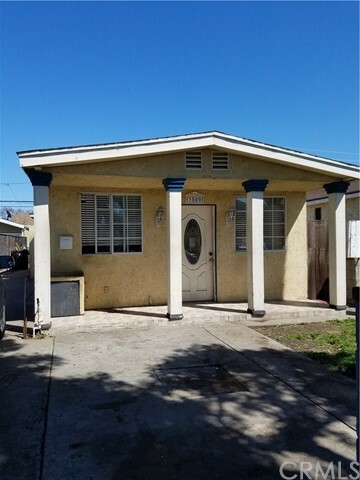 "FOR SALE: SINGLE STORY HOME IN LONG BEACH AREA!!! This Home Needs TLC and has potentials. Good for Investors and Homeowners too. Has 3 beds/1bath with 884 sqft living, lot area is 3413sqft.. Property Profile shows 2 beds, Seller added a 3rd bedroom. DRIVE BY ONLY FOR NOW.. SELLERS IN PROCESS OF MOVING.."
"APPRAISED AT $380,000, VA APPRAISAL IN OCT 2018, INTERIOR COMMUNITY LOCATION, BACKS TO GREEN BELT OF COMMUNITY CENTER, Wonderful Home in Desirable Planned Urban Development (PUD) Community of Windward Village, WHERE YOU OWN THE LAND. Location, location, location! This Fantastic Valued Home is located in the heart of the interior of the growing community. This home is SPACIOUS, ROOMY & WELL KEPT. You will be instantly WELCOMED by the LARGE RELAXING PATIO and spacious entry and large living room with built-ins and functional open kitchen. There are TWO BEDROOMS & TWO BATHROOMS. PLUS THERE ARE TWO ADDITIONAL BONUS ROOMS that may be used as you see fit. Your Family and Friends will All Enjoy the Comfortable & Open Floor Plan. The Master Bedroom includes a walk in closet and attached En Suite Bathroom. This home has tons of potential for OUTDOOR living and yard space and includes a Handy Storage Shed, and a cover driveway by an awning with room for multiple cars. This Home Features a Charming Open Outdoor Porch Roomy Enough for Everyone to Relax and Enjoy the Cool Ocean Breezes. The Community of Windward Village is Pet & Family Friendly, and amenities include Gated Entry with 24/7 Guards, Swimming Pool, Playground, Sports Court, Exercise Room and Much More, Hurry and Call to See This Amazing Home Today!"